Black babies in the United States are far less likely than white babies to reach life’s simplest milestones to form words, to learn to crawl, to take their first steps. 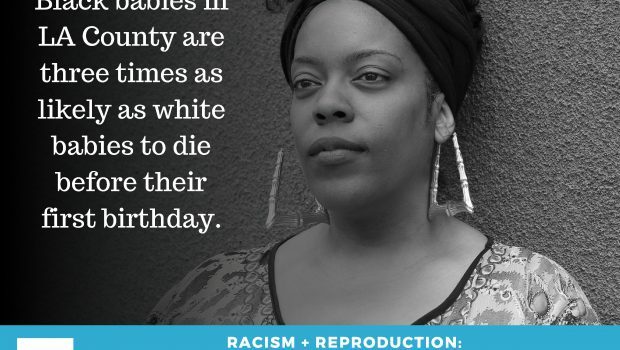 That’s because black babies born in the United States are two times more likely to die before their first birthday than white babies. 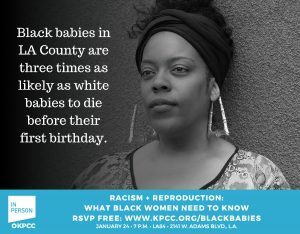 The numbers are even worse in Los Angeles, where black babies are three times more likely than white babies to die in their first year of life. A growing body of research suggests the root cause is a social one, and the suspected assailant is chronic stress brought on by being a black woman in this country. Join KPCC In Person and KPCC-LAist reporter Priska Neely and a panel of guests on January 24 as they share personal stories and information women can use to empower themselves – in and outside of the doctor’s office – to improve outcomes for their babies and themselves.